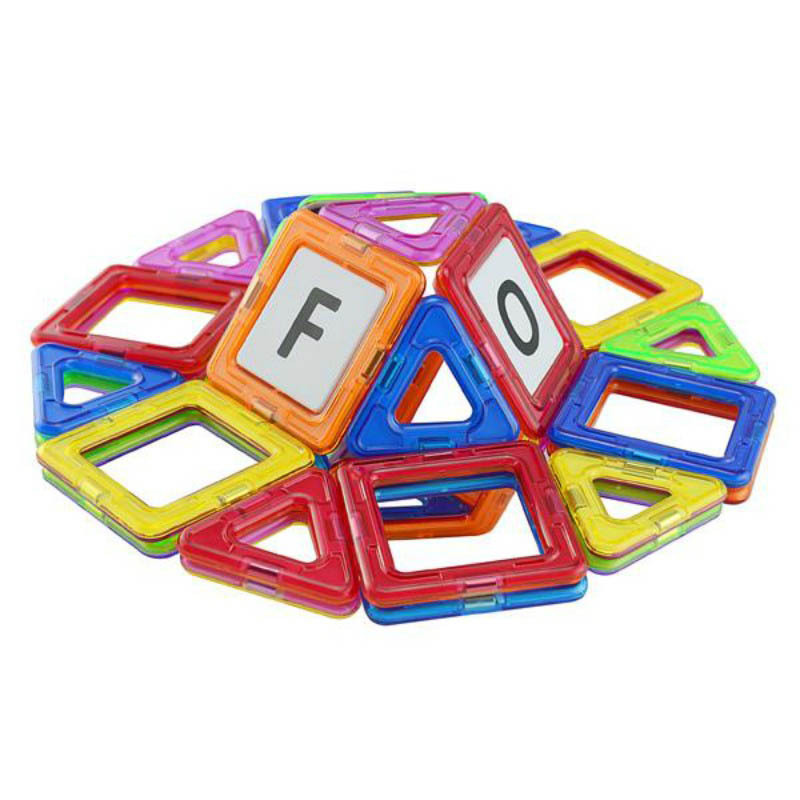 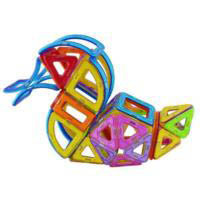 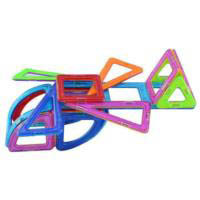 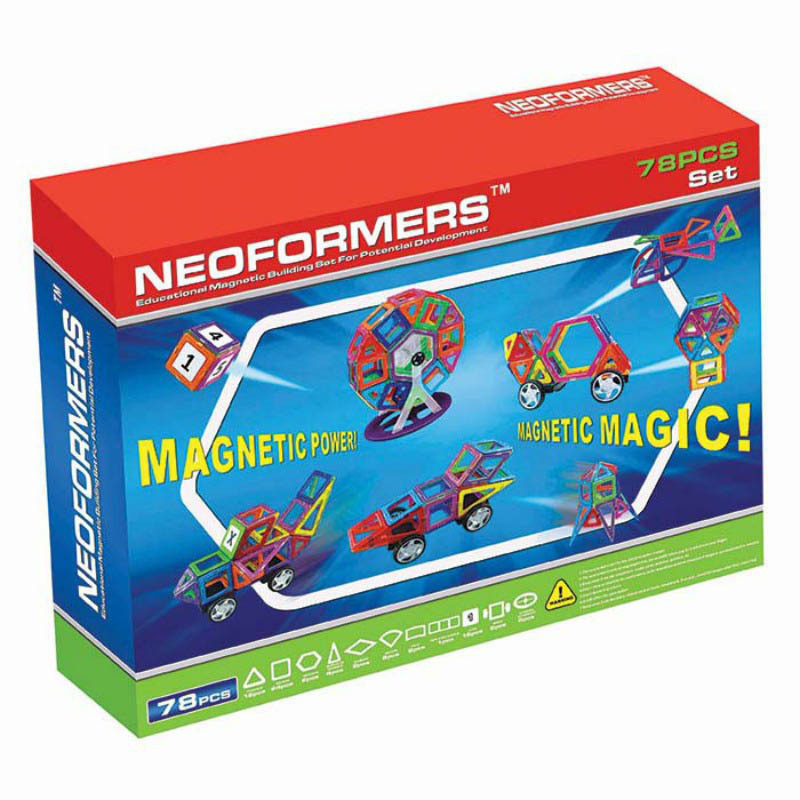 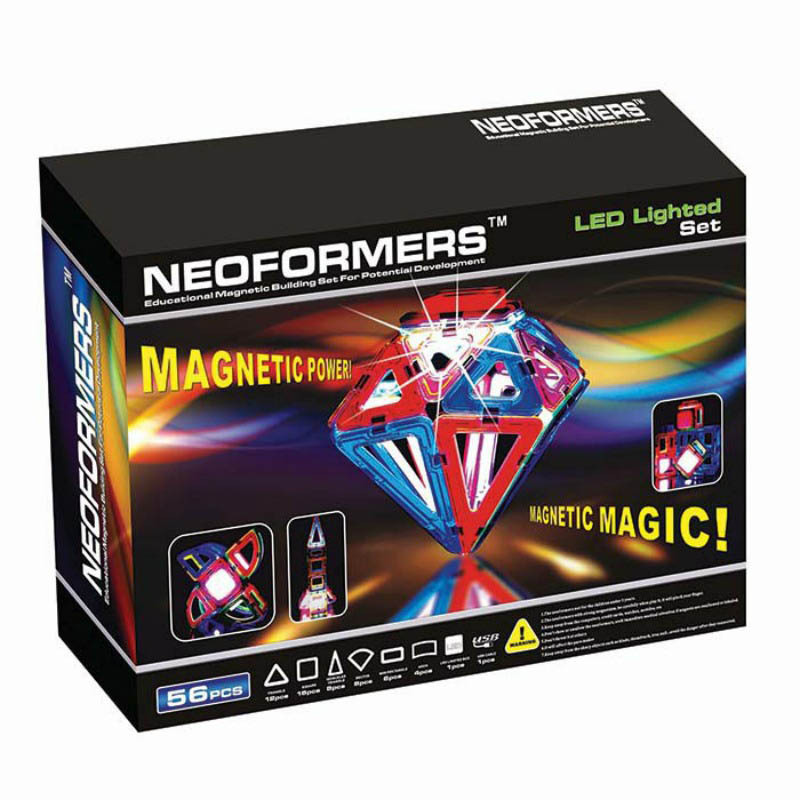 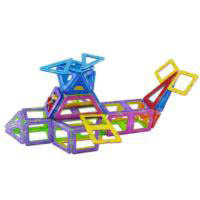 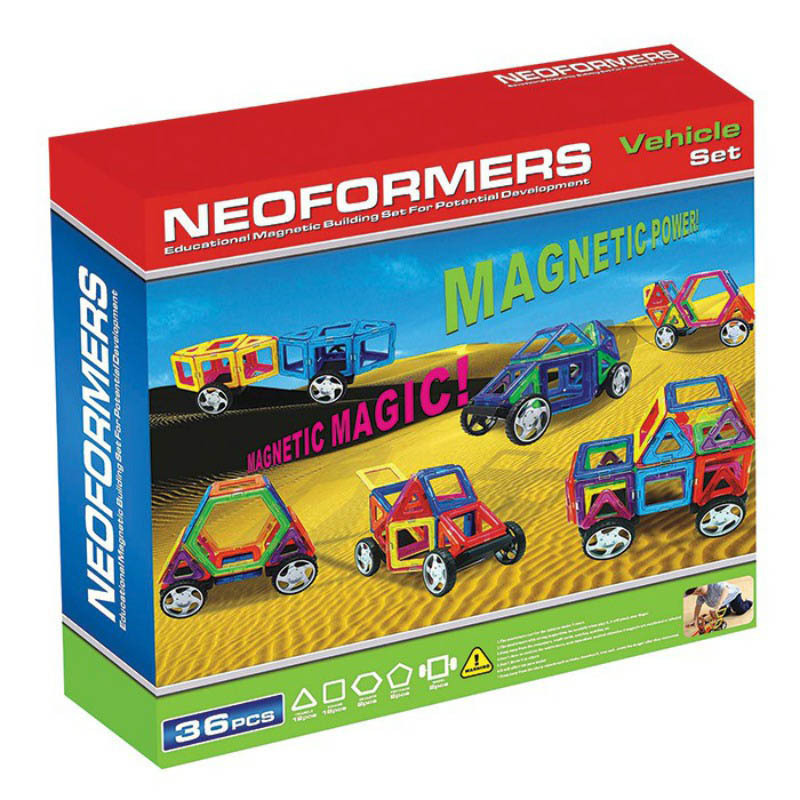 Children's imaginations will be excited by building objects with the Neoformers Magnetic Building Set. 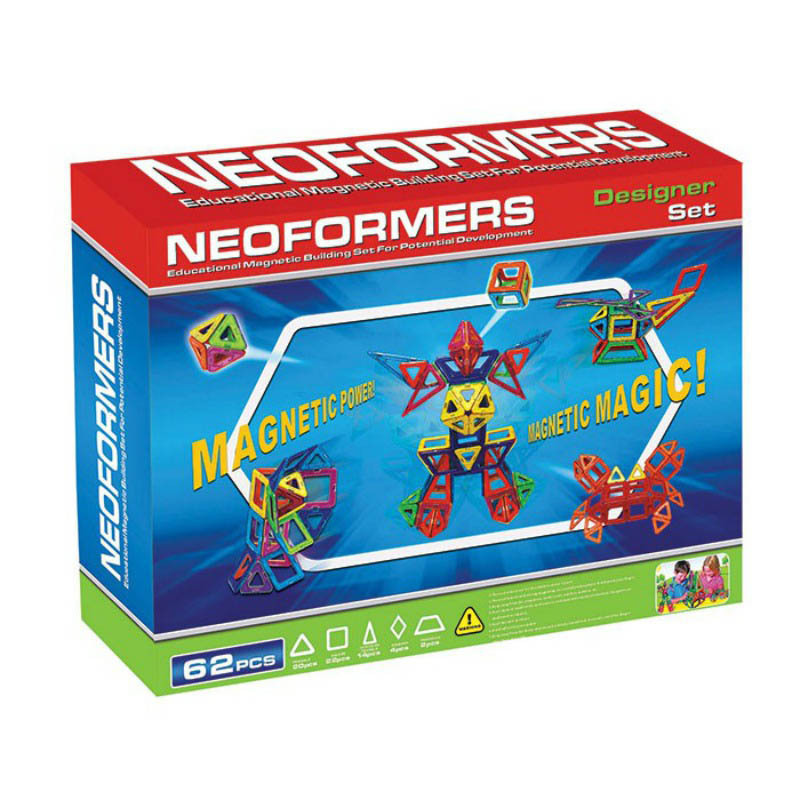 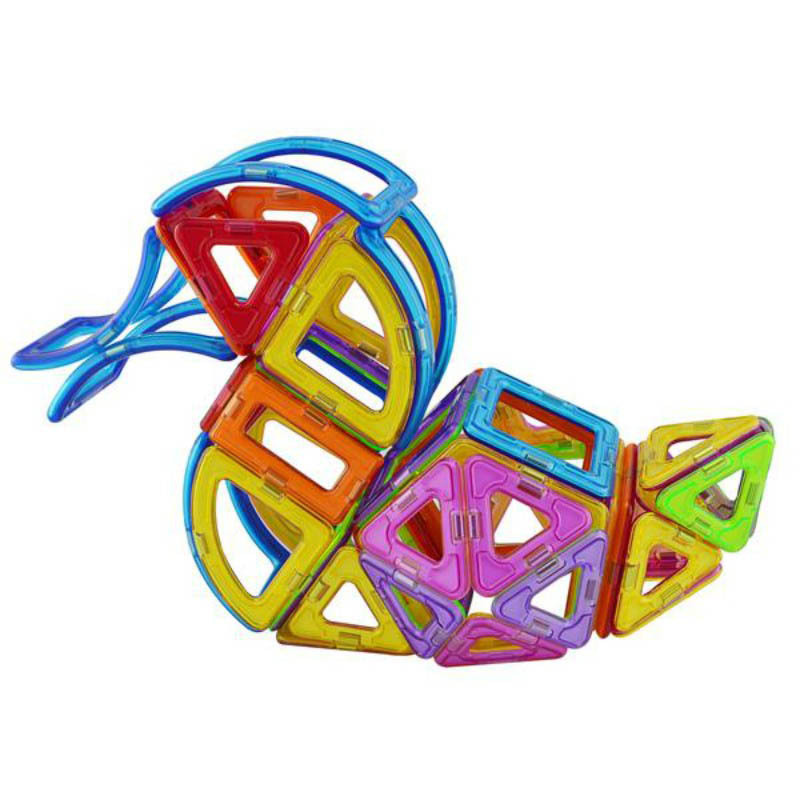 Get little brains building in 3D with these innovative Neoformers magnetic geometric shapes to create simple and complex 3-D models. 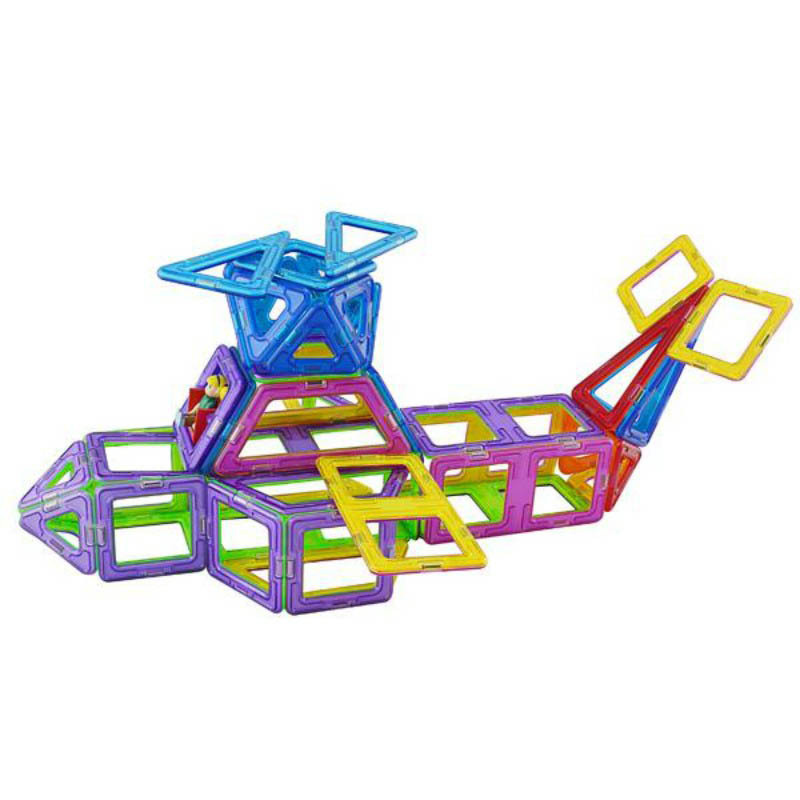 Includes 12 x Triangles, 24 x Squares, 2 x Hexagons, 4 x Isosceles Triangle, 2 x Diamond, 6 x Sector, 2 x Arch, 1 x Triple Rectangle, 15 x Cards, 2 x Wheel, 1 x Ferris Wheel 8pcs Accessory.